Robert leads a large team responsible for delivering successful business and IT solutions for Federal Government Civilian agencies, with specific emphasis on the Department of Homeland Security and the Treasury Department. For DHS, his teams provide both business services (underwriting, financial services, claims administration, appeals, community outreach, and disaster response), information technology services (infrastructure, systems development, security, engineering, architecture, quality assurance), and project management support for the National Flood Insurance Program (NFIP) of the Federal Emergency Management Agency (FEMA). His teams also provide project management, quality assurance, process expertise, and technical writing support to the Internal Revenue Service Application Development organization. Under the NFIP program he supported the management of 5.1 million policies encompassing more than $1.2 trillion of coverage and led response teams assisting disaster recover from major US storms, including Super Storm Sandy, the 2016 Louisiana severe storms, Hurricane Matthew, Hurricane Harvey, Hurricane Irma, and Hurricane Maria, all of which resulted in billions of dollars of damage. For the IRS his teams have played critical roles in the implementation of the Affordable Care Act and now supports 2018 tax reform changes. Robert graduated from the Virginia Military Institute with a Bachelor of Science in electrical engineering where he was on an ROTC scholarship, earned academic stars and was on the wresting and rugby teams. Upon graduation, he was commissioned as an Air Force Officer, where he spent ten years as a telecommunications engineer and was awarded two Joint Service Commendation Medals, an Air Force Commendation Medal, an Air Force Achievement Medal, and a National Defense Service Medal. 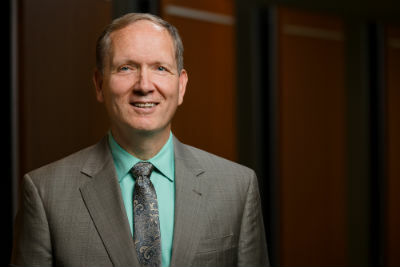 He earned a Master of Science in telecommunication from the University of Colorado and spent much of his civilian professional career in executive positions in Colorado and Arizona. Prior to joining OST, Robert served as Partner and Senior Vice President with an insurance technology and fleet management solutions company. Robert’s call to lead extends beyond his professional life – he’s held leadership roles in his church, county and state political organizations, and neighborhood associations as well as in state and national youth development groups, leading teams to state and national championships.